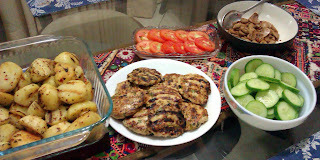 This recipe came about after someone requested for a burger recipe - coincidently I was thawing chicken and deciding what to make for dinner and burgers seemed a great idea. 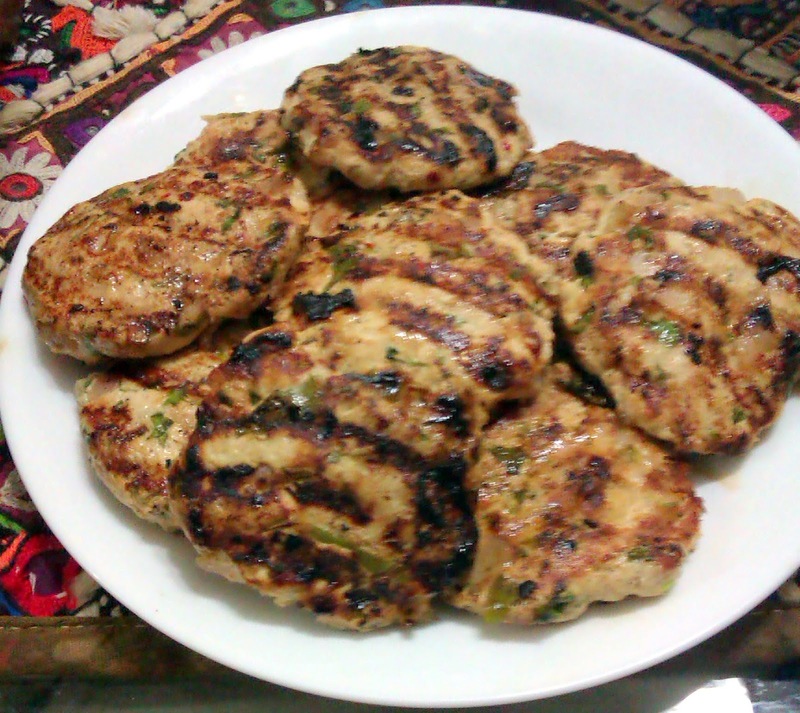 I have never made burgers before so first I looked up a number of recipes online to understand the components, identified the flavors I wanted (something different from our typical kebab's and with a good spicy kick to it) and then combined it together. 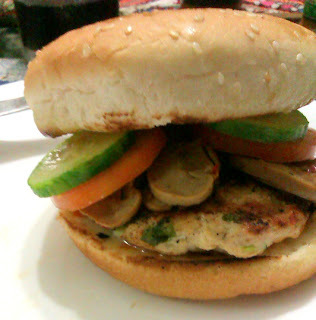 I am so glad my first attempt at making burgers was successful and the recipe turned out really delicious though of course, I will do some tweaking for next time :). The filling/condiments of the burgers are just as important as the patty so I decided to do a make your own burger kind of setup - made some garlic mushrooms, cut up tomatoes & cucumbers and put all the condiments on the table. For condiments & even to add flavor to the patty, I have to recommend Chatkhaar sauces - its a gourmet line of sauces introduced by Naurus. Have tried the Piri Piri sauce & the Honey Mustard sauce and they are absolutely delicious - a complete different flavor from the usual sauces available in the market. 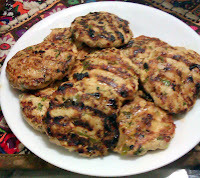 In a medium bowl, gently combine (with a fork, spatula or gently with your hands) the minced chicken along with the other ingredients for the burger patty. Make sure that you mix it properly so that everything is combined properly. Once the mixture is formed, I like to keep it in the fridge for about 30 minutes so that it becomes easier to handle. Form the mixture into about 4-5 big patties or 8-9 small patties. As you can see from the pictures, I made about 8-9, the reason being that I had Dawn burger buns which hold well with big patties so it was better to make smaller patties. But obviously, it depends on personal preference. Heat a grill pan over medium heat. Rub just a little bit of oil on both sides of the burger patty, and then cook them on the grill pan. Grill the burgers for about 3 minutes (smaller patties will take around 3 minutes but bigger patties will take about 5-6 minutes) on each side, making sure that they are nicely marked from the grill and firm to the touch. Once the patties are cooked, you can start assembling the burgers. The best method of doing that is to put all the fillings and the condiments on a table along with the patties and the burger buns. That way, it becomes a 'make your own burger' style meal where everyone can just add condiments and fillings as per their specification. 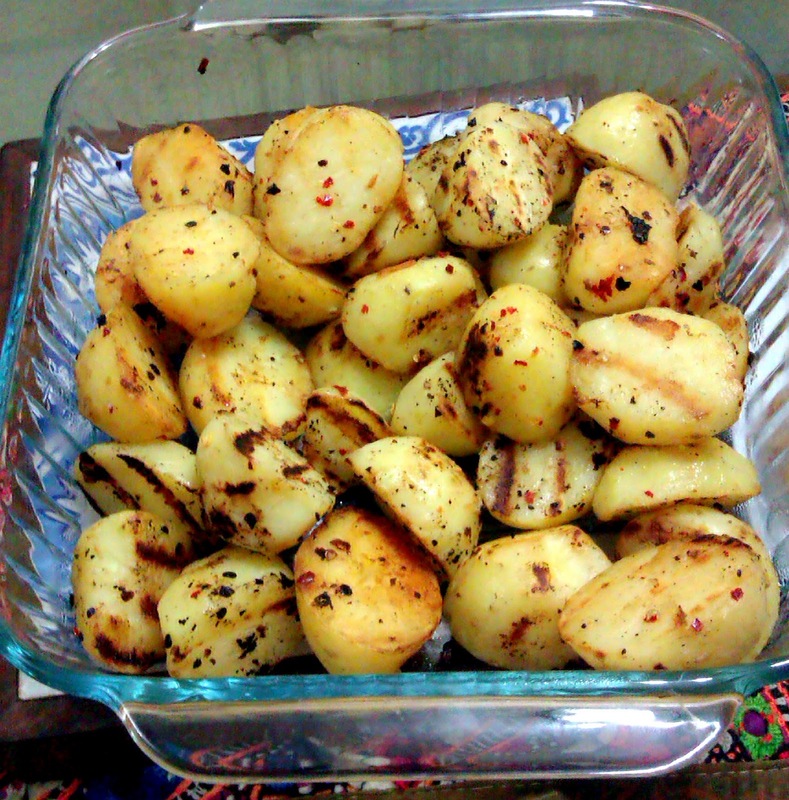 On the sides with the burger, I had served grilled potatoes with salt & chilli flakes. Note: You could also make the patties in a normal skillet, however, a grill pan is better. Heat about 1 tbsp oil in a grill pan (medium-high heat) - add about half the potatoes cut side down and then add salt, black pepper and red chilli flakes (as per personal preference). Be careful as the heat will make the spices irritate your eyes. Let the potatoes cook for a few minutes cut side down till they become crisp and then turn them for a few minutes on each side till they become crisp. 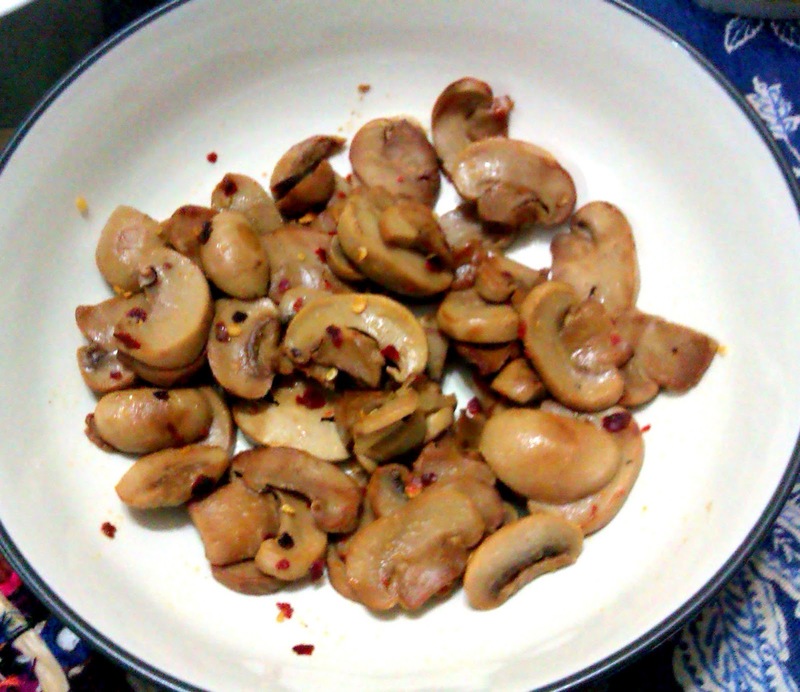 Once the first batch is done, then fry the second batch. Serve hot. These potatoes can also be made in a skillet or baked in a oven, but just make sure they are cooked on each side properly so that they become crisp.